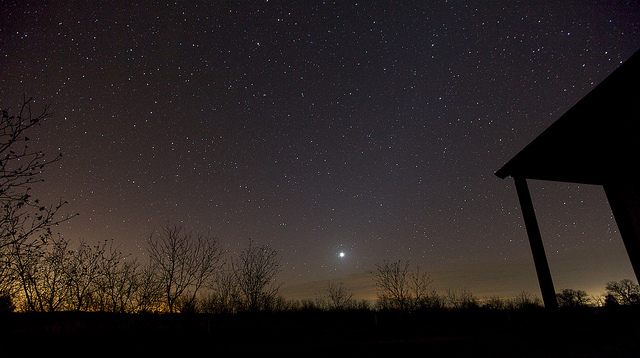 Next reappearance of Venus was Feb 20, 2018. 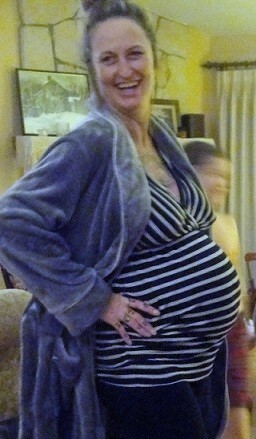 GIRLFRIENDS, it's all about the magic of VENUS (APHRODITE as she was once called!)! The magic of the Venus cycle unfolds with every loop. With one synodic cycle, a revolution around the Sun, she forms a rose petal or a heart shape and then another and another every 1.6 years. 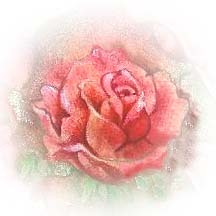 A magnificent rose begins to form around the Sun with a full pentacle shaping itself in the middle. 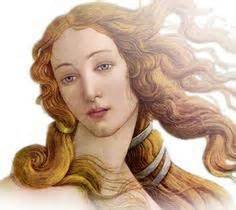 ..... have for centuries been intimately related to Venus as symbols of love, beauty and attraction. The mystery of Sacred Geometry unfolds before our eyes as the planet Venus circles around the Sun. Imagine that as Venus travels around the sun she left a trail of light to show where she had been. From the perspective of life here on earth, it would look like this in the heavens. She really creates these geometric forms of hearts and roses as she cycles round and round,..... that lovely woman! 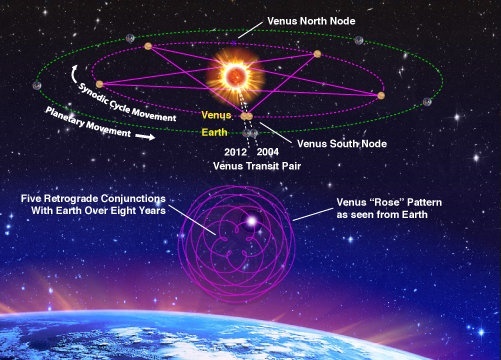 It takes 8 years for Venus to return to the same place in the zodiac as well as the same place in relation to the Sun. All returns are within 1-2 degrees. Every 8 years we experience our own Venus return. A Venus return refers to Venus coming around to the same place and position as she was when we were born. It takes 5 synodic cycles around the sun to create a Venus Star around the zodiac every 8 years. "We are reminded with these exquisite connections of Venus and her cycle around the Sun of a pure and divine feminine creative force." In ancient Babylonian and Assyrian times the Myth of Inanna (Ishtar) and Ereskigal, the two faces of VENUS, was followed in the night sky as the planet Venus made her journey appearing and disappearing in their nightime sky. Here we see the Seven Planetary Gates and lunar transits that Inanna must descend from in order to strip herself of her now empty versions of the material world. 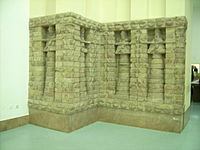 Each of the seven gates refer to a quality represented by that planet that is in need of renewal. As she is stripped of her veils, she gains access to the Underworld where she will undergo a psychic renewal with Spirit. Each planet corresponds to one of our Seven Chakras! We worked from top or Crown Chakra to bottom or Root Chakra during 2017 when Venus appeared as MORNING STAR! She made her descent through the GATEWAY OF THE BALSAMIC MOON! 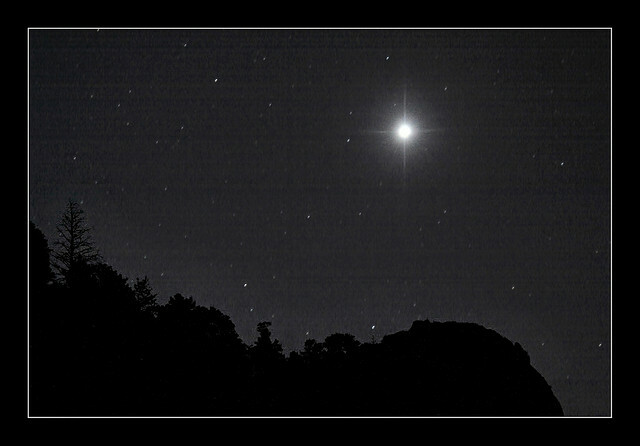 VENUS, Inanna, as the Queen of Heaven, is seen rising as Morning Star for approximately 260 days. - about 9 months, or the gestation time of human life in utero. ISN'T THAT INTERESTING!? BUT NOT SURPRISING, HUH?! Her twin sister,Ereskigal, as Queen of the Underworld, is represented by the approximate 40 days she is RETROGRADE and gone into the Underworld. In her darkest retrograde time Venus gets within 10 degress of the Sun from the perspective of Earth. Whenever a planet is within 10 degrees of the sun it cannot be seen because the brightness of the Sun makes it invisible to our eyes. For our ancestors, when Venus made this transit across the Sun she was thought to go on her journey into the underworld where she met her sister, Ereshkigal. She also makes a shorter journey into the Underworld when we cannot see her because she is either behind or in front of the Sun from our perspective here on Gaia/Mother Earth. Visits to the Underworld always imply that we go through a time of shedding old outworn patterns, before we return to a renewed state of consciousness and growth both of which we will express in our everyday world and in the world of Soul. Thus these periods of underworld growth, though difficult, are necessary in life just as our journeys of joy and success. After about 40 days, she rises again as the Evening Star for 260 days. 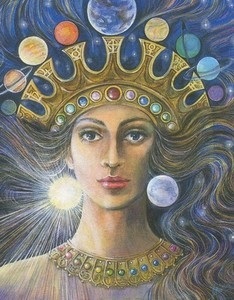 When she is in her EVENING STAR journey she goes through the Seven Gateways from root to crown chakra and becomes QUEEN OF HEAVEN because she has made her ascension and this is the culmination of her journey in that particular archetype. This is the journey she will take in 2018 in the Goddess Aries archetype. And then once again Venus goes into the Underworld. Back and forth she goes as She undergoes an INITIATION of the LIGHT with the Sun. The Sun, our guiding light, our number one star, symbolic of life force itself, purpose, growth, and unity consciousness absorbs Venus into his heart at these conjunctions. 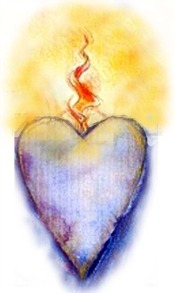 Two hearts come together as Venus too has a heart, embodying all that represents love, attraction, peace and harmony. A truly alchemical and passionate embrace of these two bodies represents the integration of the divine feminine and masculine, a sacred marriage, fusing creative principles and symbolically our our own passion (Venus) with purpose (Sun). 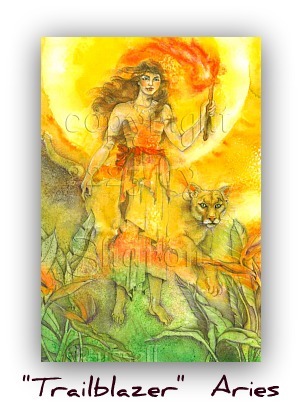 VENUS gathers strength, stamina, and new courage when she is in the Underworld. 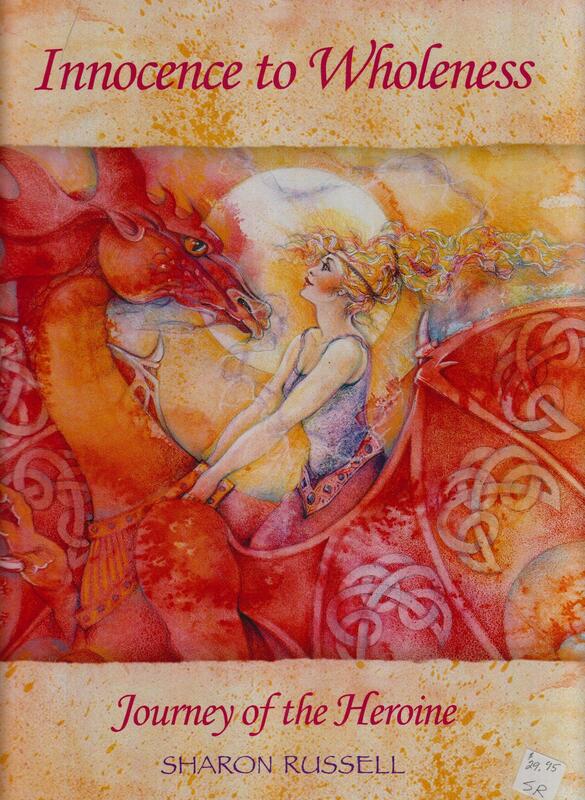 Love, creativity and abundance can shift as she emerges from her journey. She initiated a new cycle of human feminine evolution when she emerged and began her new cycle as MORNING STAR on March 30th 2017 in the Aries archetype. There are 5 places in the zodiac where Venus and the Sun meet every 9.5 months. 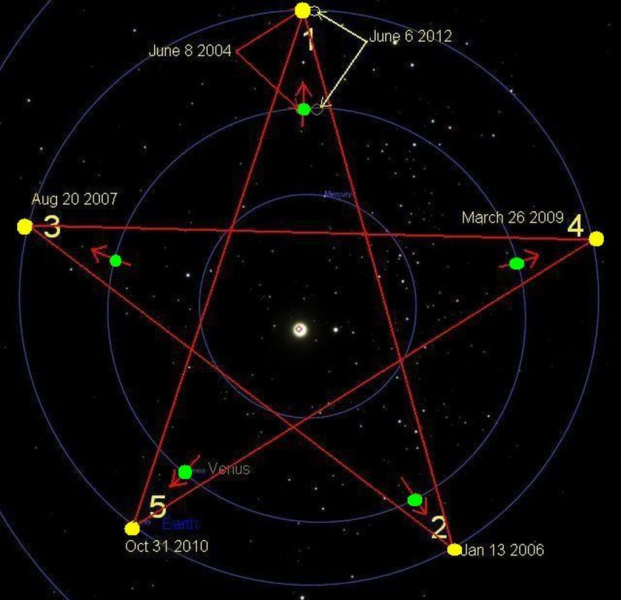 These points only occur at 5 particular zodiac places at any given time. At this time her star points occur in the signs of Capricorn, Scorpio, Leo, Gemini and Aries, Venus's current emerging feminine archetype. 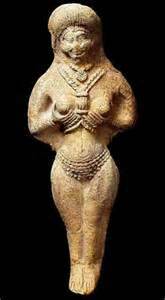 As Inanna took her journey we too took ours. We shed our outer garments. The ancient myths called these the 7 gates. As we entered each gate, we shed an old layer of ego. 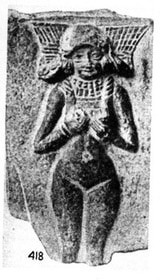 As Inanna was stripped of her garments, her jewels, all that she considered to be parts of her Self, we too were stripped of those aspects of our ego that no longer served us. We were being asked to redefine Venus, Innana. 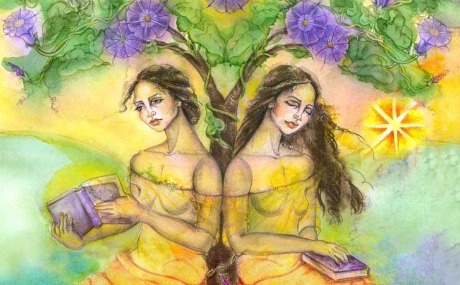 Our Soul directed us into new experience, a new territory of the Divine Feminine. "It has been said that the heavenly alignments determine human destiny. However, it seems the truth is greater and more mysterious than this. It is not our future or our personalities that the stars predict, it is the stars themselves reflecting the designs of the Soul." NOW, she is preparing to rise and return, this time as our EVENING Star to grace our skies once again. This reappearance will happen on February 20th, 2018. We may have been feeling as if we were undone or unmade during these Underworld times and indeed we have been as Venus closes out one cycle and begins the next! 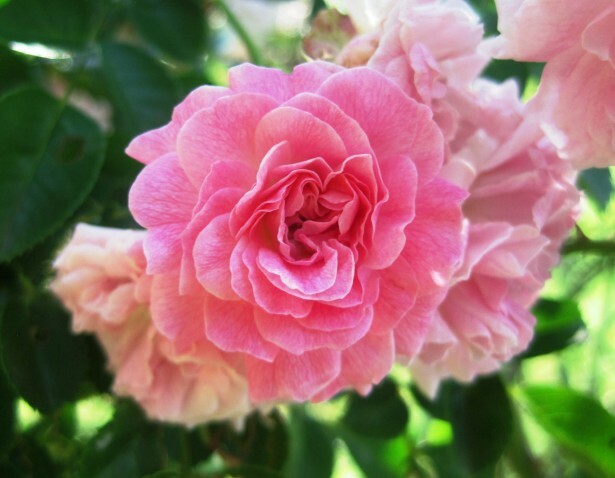 Besides the Heart, Rose, and Pentacle, the Venus cycle is closely linked to the ratios of Sacred Geometry, the Golden Mean as well as the Fibonacci sequence. As Venus makes her 5 points in 8 years the ratio 5/8 is 1.6, 1.6 years being also her synodic cycle, this ratio is known also as the phi ratio, the divine proportion in sacred geometry. Sacred geometry is a science that explains physical energy patterns of growth and harmony, found everywhere in the natural world. 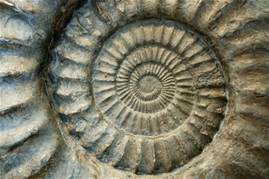 We see these examples in the nautilus shell, a spiral galaxy and an unfolding rose and these principles and ratios have been used since ancient times in art, design and architecture to create harmony, balance, aesthetics and beauty. The Fibonacci sequence, a mathematical formula of growth, 1,1,2,3,5,8,13 etc, also embodies this phi ratio where each subsequent number is the sum of the previous two and divide as the 1.6 ratio. "There are two ways to live your life: you can live as if nothing is a miracle, or you can live as if everything is a miracle." The sign that Venus is in when she starts her 19-month synodic cycle, her cycle of Light, describes the presiding Goddess of this period. Currently we in an ARIES regenerative cycle of the Divine Feminine. Besides the cycle of the Moon, Venus and her cycle is by far the most interesting and rhythmic of all planetary cycles as she plans, incubates, creates, and makes meaning and wisdom in her 8 year cyclic return. 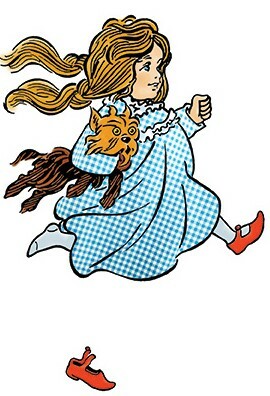 We can work with her as we learn about her truly miraculous nature as both Morning and Evening Star! 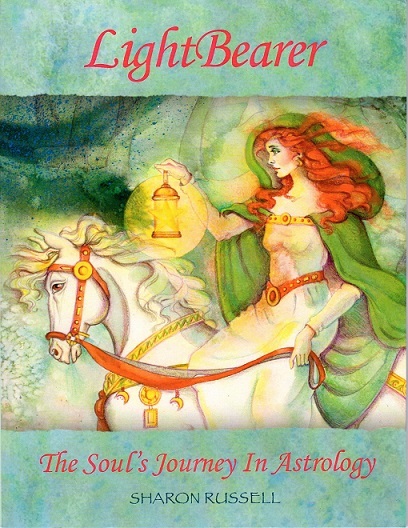 Sharon's new book, LIGHTBEARER, is now available for purchase from us. P.S. FREE OFFER still available to get your own VENUS SIGN! EMAIL dixiegladstone@yahoo.com with 1. name 2. date of birth 3. time of birth to the minute (if you have it) 4. place of birth - it takes me a few days but soon you'll know what sign your Venus was in at your birth! 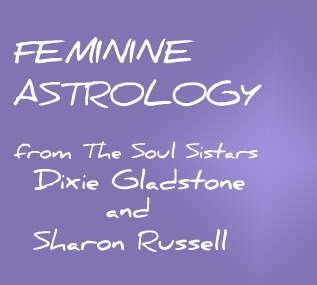 THIS IS A MUST KNOW for Feminine Astrology! 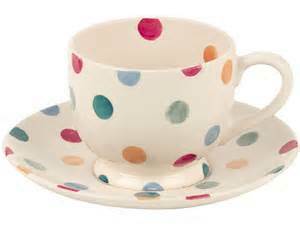 Tell me you are 'requesting your Venus Sign'.